In early March, Grant applied to Johnson to have his fifteen-year-old son Fred admitted to West Point and he was promptly accepted. Grant and longtime aide Theodore Bowers shepherded Fred to the academy for his entrance exams a few days later. Bowers was a thirty-three-year-old bachelor and former newspaperman from Illinois, a handsome, bearded young man with dark, wavy hair and expressive eyes. The Grant family had delighted in his self-deprecating humor. On the way home, Grant boarded the train at Garrison Station, across the Hudson River from the academy, but Bowers, running late, tried to leap onto the train as it left the station. Unable to find a solid footing, he got trapped between the train and the platform and was dragged along, then fell to the tracks and was run over by one wheel, which mangled his face, severed his arms, and killed him on the spot. When Grant got off the train to see what had happened, the rails were streaked with blood, his friend’s body twisted beyond recognition. 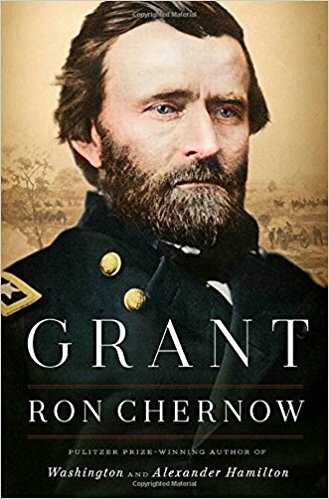 Those with Grant admired his stoic calm as he drafted orders to dispose of the body. Crushed by the calamity, he told Sherman, “The loss of poor Bowers is one that I feel more keenly than it is usually possible for anyone to feel for another not an immediate member of their own family.” It was typical of Grant to respond profoundly to death with inner grief but no outward show of emotion. After attending Bowers’s funeral at West Point, Grant returned to a capital preoccupied with the civil rights bill introduced by Radical Republicans to mollify Black Codes in the South that prevented freedmen from owning property, making contracts, and filing lawsuits. Though silent on voting rights, the bill sought to bring the full blessings of citizenship to anyone born in the United States, including blacks, protecting them by the “full and equal benefit of all laws.” (Native Americans were excluded.) This landmark legislation defined citizenship rights in a new manner that made the federal government, not the states, the guarantor of basic liberties.